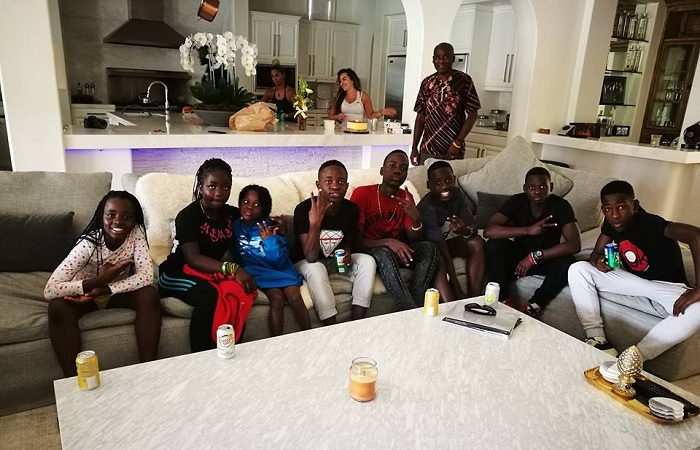 Uganda's Triplets Ghetto Kids (TGK) are back in the country after hobnobbing with top celebrities that include P-Diddy, Neo, DJ Khaled, Chris Brown and of course, French Montana who has been hosting them all this while. 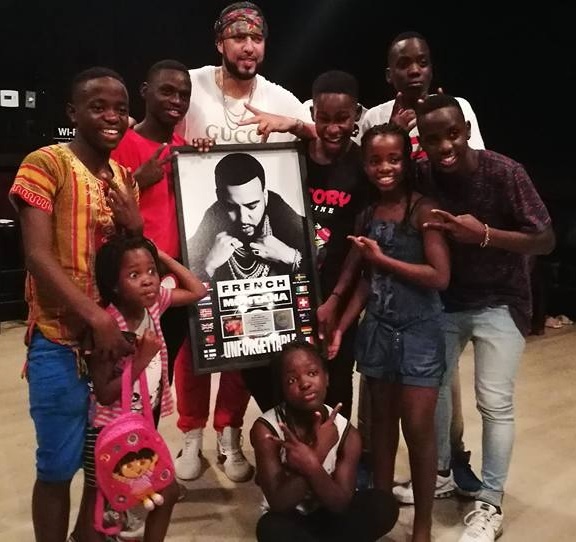 The young dancers left the country in June to go for the BET Awards in the US, they made Uganda proud by performing alongside American-Moroccan Hip Hop artist, French Montana, real name Karim Kharbouch. These kids came to the limelight through Eddy Kenzo's Sitya Loss video, and since then, things have only been getting better for them. In the three months they've been in the US, they first performed at the BET Awards event, making them the first Ugandans to perform on that stage, they also performed at various events ranging from the Nickelodeon teens choice awards, appeared on the Tonight Show starring Jimmy Fallon. Many were concerned about their education, but the their Manager, Kavuma, came out to explain that while on their three month tour, they've also been learning using the United States curriculum. They've also made some money which has been channeled to bank accounts opened for them in the US now that they are still little. French Montana decided to come to Uganda to shoot his 'Unforgettable' video and our very Ghetto kids were on board to spice up the video with their not so easy dance moves. The video has 120 million views on YouTube since April 2017 and it's Montana, Swae Lee and the Ghetto kids from Uganda that the world is watching. French Montana gave the kids his RIAA Platinum award which they proudly show off as little Ashely rolls her eyes. The kids were waving the Recording Industry Association of America (RIAA) award as they drove along Entebbe-Kampala highway. "For weeks now, the track has been a Top 10 song among Spotify users in the U.S., streaming over a million times per day. The music video on his official YouTube channel has logged roughly 120 million plays thus far. Since the song's official release in April, it scored RIAA platinum certification in under three months, making "Unforgettable" the fastest of his singles to do so," A statement off the Forbes website reads.